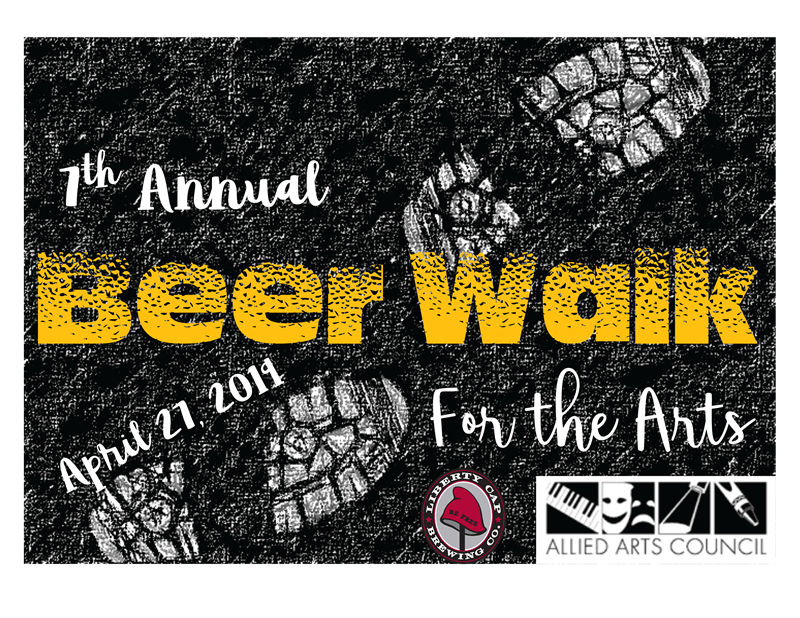 ST. JOSEPH, MO- The Arts Fund is gearing up for the annual Beer Walk for the Arts. The event is hosted by the Allied Arts Council and takes place April 27th from 2-5 p.m. in the Historic Hall Street District. The homes on this tour include the historic Benton Club and Shakespeare Chateau. The Benton Club will also serve as the check-in location for event goers to get wristbands and maps. The parsonage of the Zion Church will be the location for the final pour. The church had been given a nickname of the “Beer Church,” making it quite fitting for the tour, as Michael Karl Goetz, founder of M.K. Goetz Brewery, was a member of the church, along with many employees of the brewery. The event features various beers from sponsor Liberty Cap Brewing, Drekker Brewing, Kansas Territory Brewing, Aero Plains Brewing, Brickway Brewery, Big B’s, Wichita Brewings Company, Levi Garrison & Sons, and Broadway Brewing. A different brewery will be featured at each home on the tour along with a food pairing from local restaurants. The Arts Fund kicked-off April 5, 2019 at the Ruby Theater with a breakfast hosted by The Robidoux Resident Theatre. The theme to this year’s campaign is Creating Art, Creating Community. Campaign Co-Chairs Janie Findley and Denise Meyer have the goal to raise $230,000 for the Arts Fund this year after raising $228,000 the previous year. The Arts Fund at the time of the kick off was $68,677. Fundraising for the campaign goes on through the end of April, but pledges may be made until June 30. The Arts Fund is an annual united campaign to support the activities of the Allied Arts Council, Creative Arts Productions, RiverSong, Performing Arts Association, Robidoux Resident Theatre, St. Joseph Community Chorus, and the Saint Joseph Symphony. Your donation helps us create art and create community. Donate today! ST. JOSEPH, MO- The South St. Joseph Development Corporation has selected Kathy Liao as the muralist to cover the east exterior wall of 402 Illinois Ave. Applicants were required to feature at least one of four themes in the mural: stockyards, working men/women, industry, and/or immigration. Liao featured all four in her concept design, featuring some of St. Joseph’s own community members. “With this mural, I want to highlight the Southside pride in its rich history in the industry and promote South St. Joseph’s ethnically diverse working class population,” Liao said. The sub-themes required by the SSJDC were past-present-future and notable historical figures from the area. Liao is currently an Assistant Professor of Art and Director of Painting and Printmaking at Missouri Western State University. She plans to use this mural as a project for her students to participate in, learning the history of murals, creating public art proposal applications, and the prep, set-up, and design of painting a mural over an 8-week course. Allied Arts Council Bringing Arts and People Together!